View from out on the river during Sunday’s boat excursion. Out on the water, looking back. 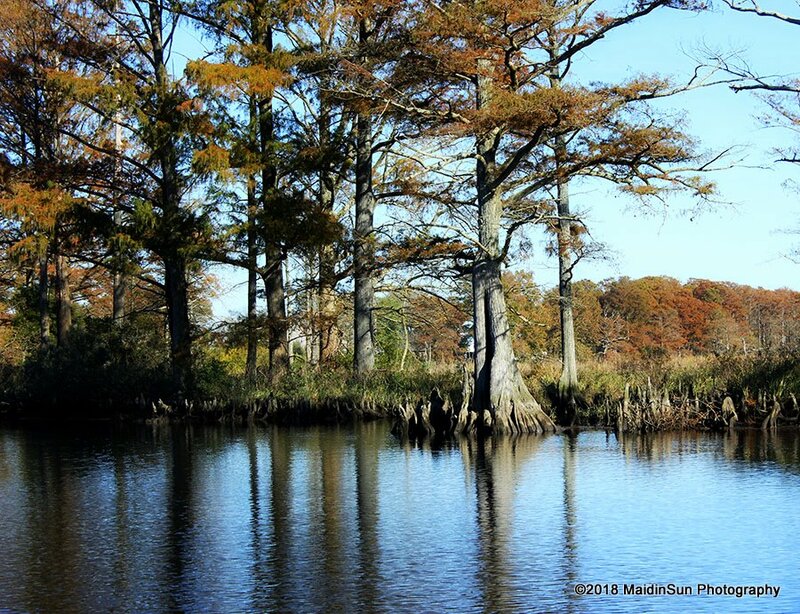 The Great Cypress Swamp, which is also known as the Pocomoke Swamp or Big Cypress Swamp, runs from southern Delaware through southeastern Maryland on the Delmarva peninsula. 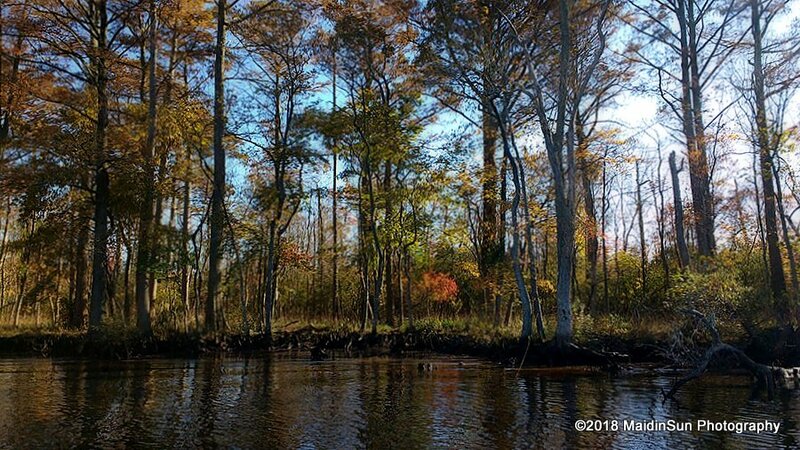 Most of the The Great Cypress Swamp is in Delaware although finding it on a map isn’t easy even though they say it was the largest contiguous forest on the peninsula as of the year 2000. 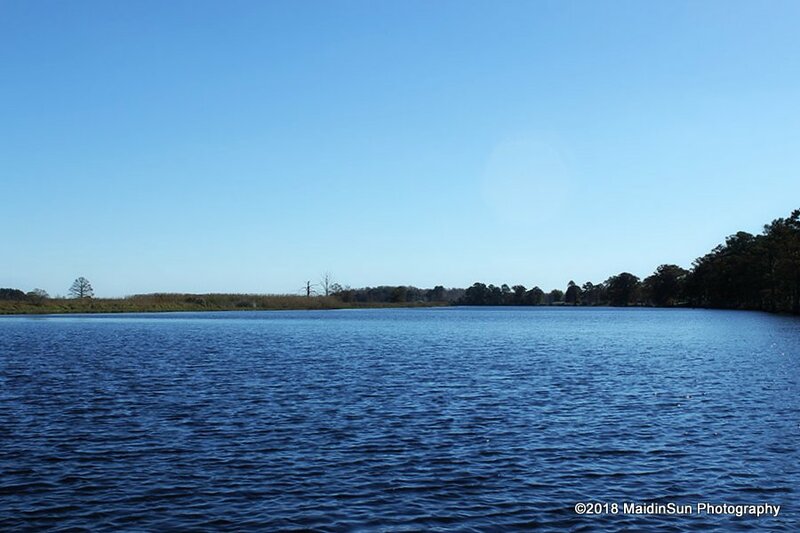 You can find parts of it if you start at Trap Pond State Park in Laurel, Delaware, then make your way south along the Pocomoke River. A few miles south of Hickory Point. Our common word swamp comes from a rustic dialect of English, and only became widely used in North America in the seventeenth century. 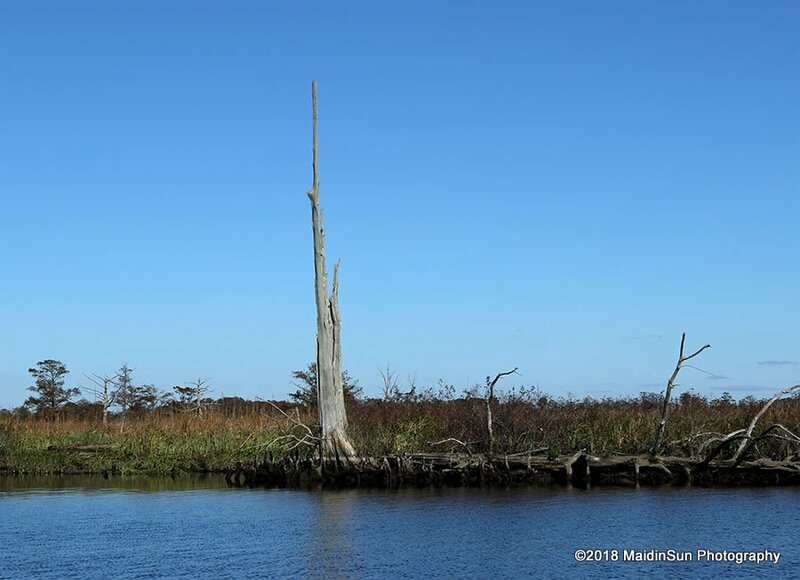 Swamp is a truly popular word, with a broad range of meanings, referring to wet spongy ground and often used interchangeably with bog, marsh, mire, and fen. 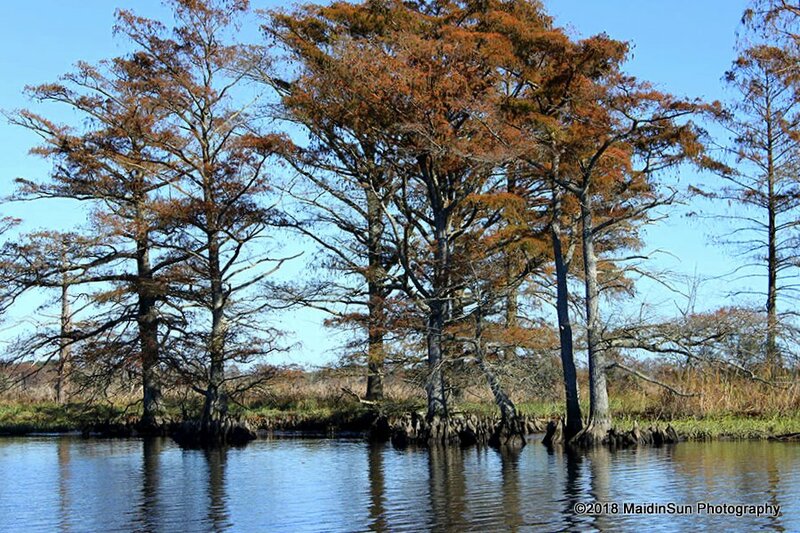 But in precise usage, swamp refers to land with more trees than a marsh, better drained than a bog. According to Wikipedia, Joe Biden, in 1980, proposed that the swamp be made into a national park. Environmentalists requested the action, but local folks were afraid it might lead to large numbers of tourists coming to visit. 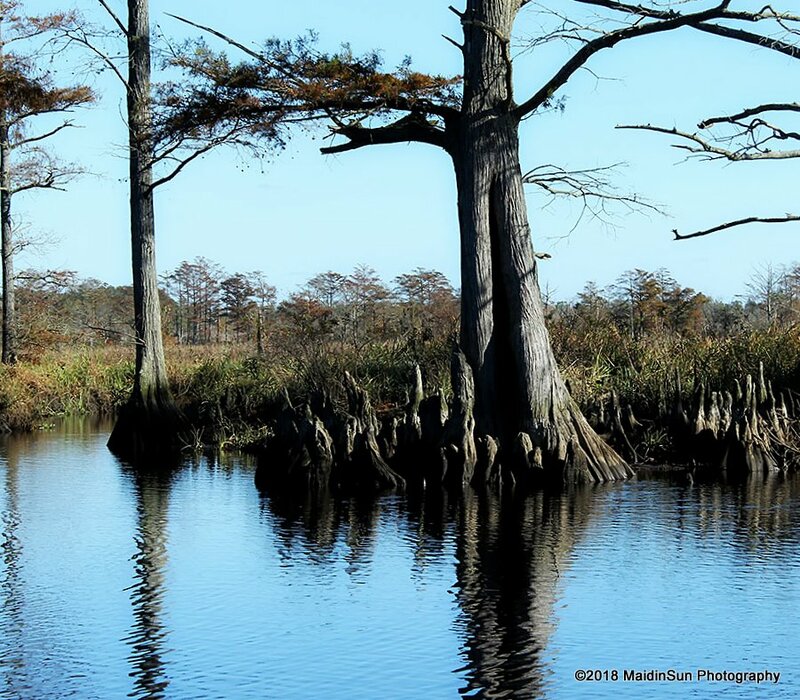 The Great Cypress Swamp is the source of the Pocomoke River which is where M and I went for our boat outing on Sunday. 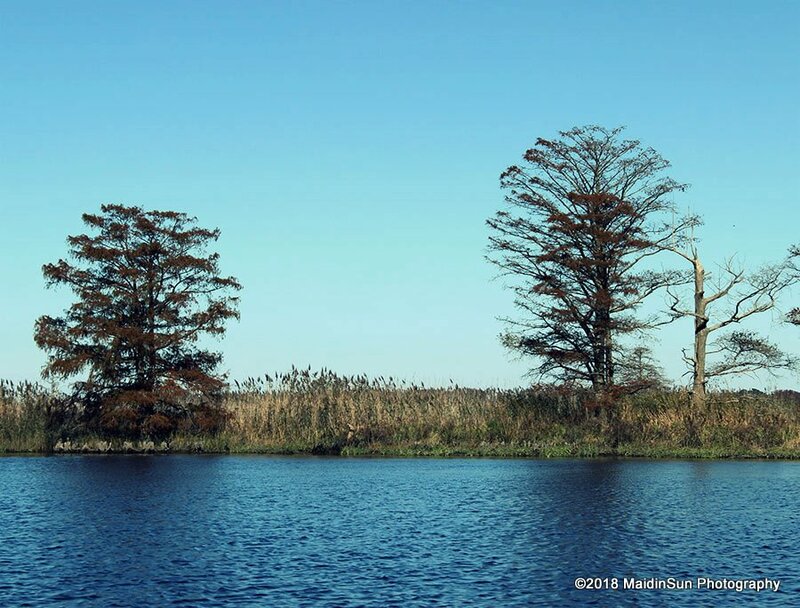 The Pocomoke River runs from the Great Cypress Swamp in Delaware down through Maryland and out to the Pocomoke Sound. We put the boat in at the Rehobeth boat ramp. 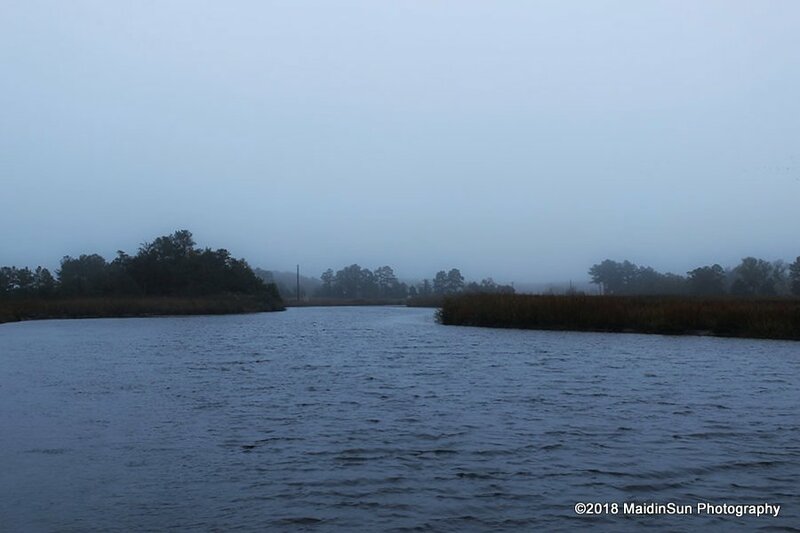 The boat ramp is not too far from where we live and it is, I think, the next to the last public boat launching site before you arrive at Pocomoke Sound (which goes out to the Chesapeake Bay). The river, of course, flows into the sound. Sound, referring to a feature of coastlines, comes from the Middle and Old English sund, “to swim.” The word in its modern guise evokes both this watery root, as well as the idea of soundings — measurements of depth, quests, or probings, downward and inward. A sound is a waterway connecting two larger bodies of water or two parts of the same body, though the term can refer to an arm of the sea forming a channel between a mainland and an island. 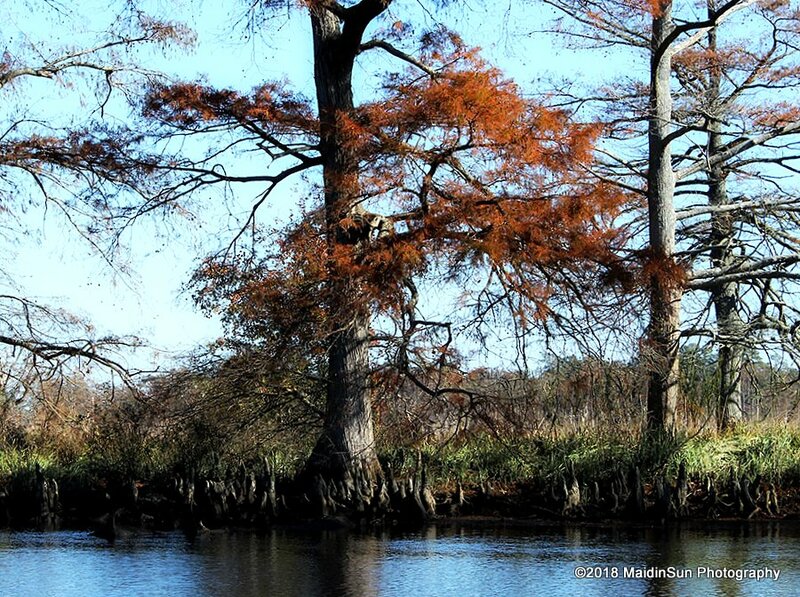 Still a little color left on this bald cypress tree. We traveled upriver, going north and east. 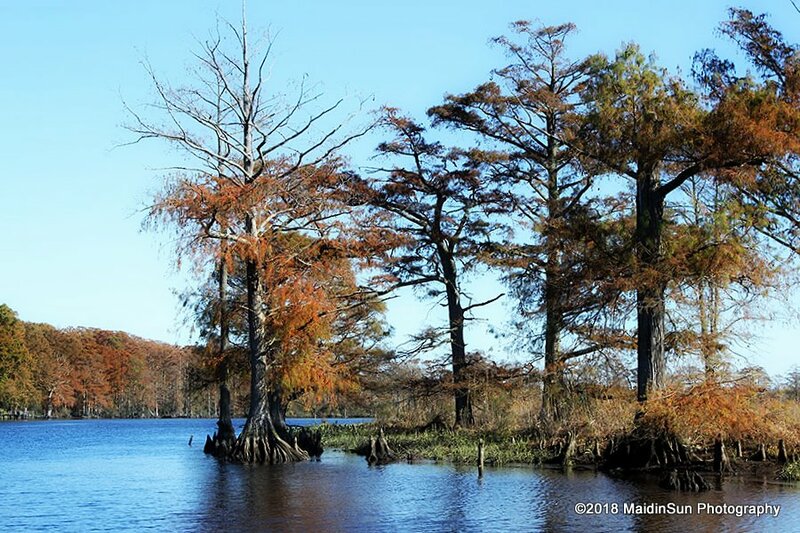 To the right (or the east of us, most of the time, depending on the bends in the river) is Hickory Point Cypress Swamp. M and I visited the area on land (by foot) back in 2014, something I vaguely remembered. Here’s the post, if you’re interested: Hickory Point. A good day for reflections. It was quiet out on the river. We did not see any other boats until we finished our trip and we were back at the boat ramp where we started. Zooming in a little to see the trees “knees.” Nobody knows why cypress trees have knees nor do they know what their function happens to be. 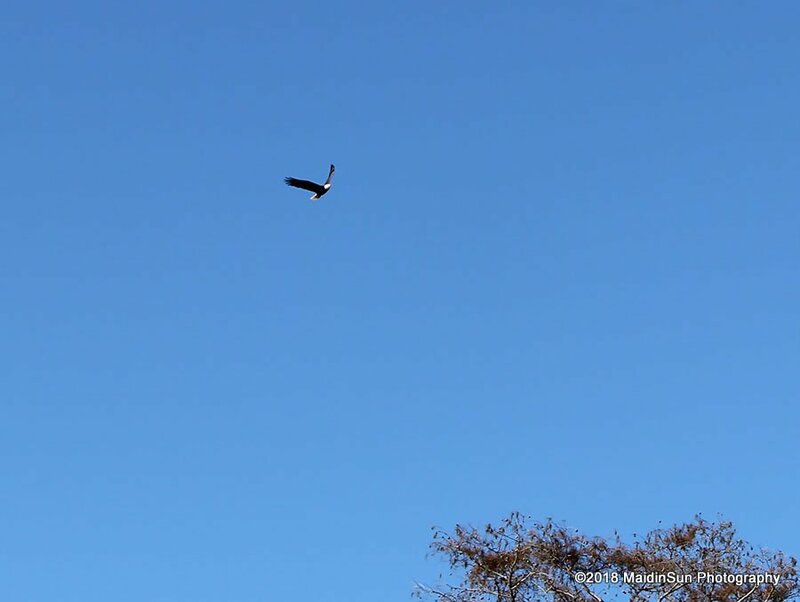 Cropped so you can tell it’s an eagle. Also cropped so you can see it. I could have continued to crop those images but they end up so pixelated that’s it is difficult to tell what’s what. Coming up to a bend in the river. Looks like we might have some storms coming. I should probably get some things done outside before that happens. Thank you for visiting today and taking a little trip on the river with me. I’m still sorting through images and will probably be back with more. Heck, I’m still sorting through images from Cape May, now that I think about it. lol! Ah well. I’ll get to all of it eventually. Maybe. Another closer look. Because I’m fascinated with the knees and the shapes of the roots. 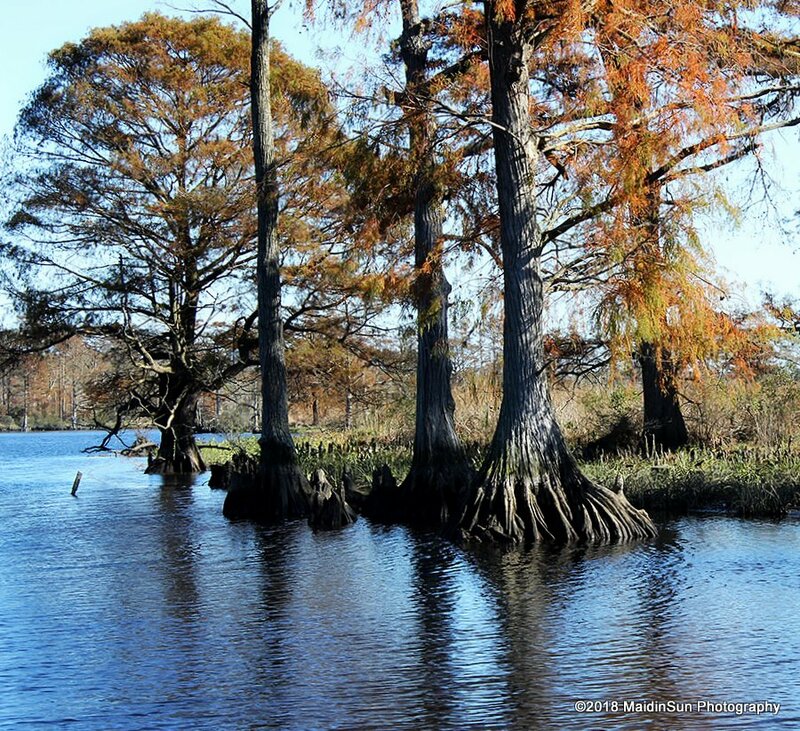 A few of the 10,000 reasons to be happy: 931) The knobbly knees of cypress trees. 932) Record turnout for early voting reported in Maryland. I hope that holds true everywhere, early voting or not. 933) People waking up. 934) An early morning walk in the mist and fog. 935) Love. View from the dock this morning. You’re welcome and thank you, Merril. I think it sounds mysterious and dangerous, too. 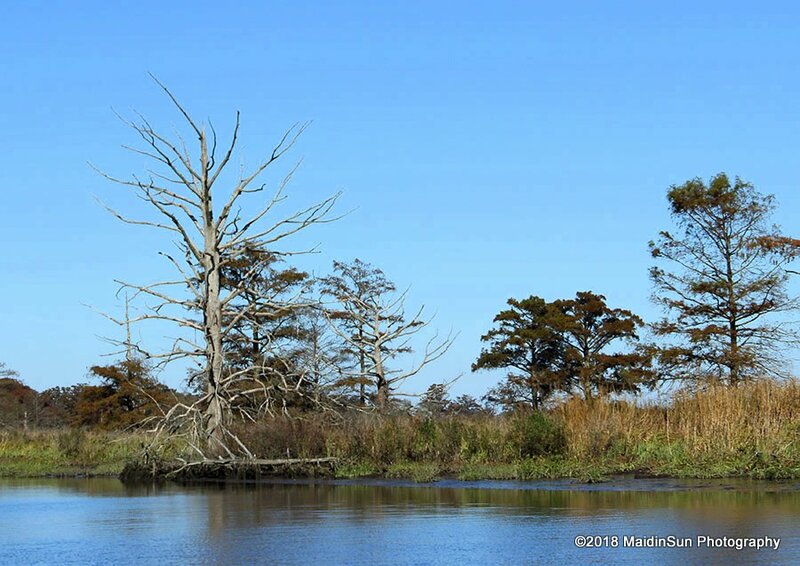 They say the best way to explore the swamp is through the water trails, by kayak or canoe. When we were out on the river, I could see some of the water trail entrances and imagine that it would be very easy to get lost in there. I love the tree’s knees. It’s fun just saying ‘trees knees!’ Hopefully, your ride was a smooth one. It looks like it was a gorgeous day. IMO, there have not been nearly enough of those these past several months. I heard on the radio that for many states this has been the rainiest on record. Tough on a sun worshipper like me! Thank you, Sudipto. 🙂 I hope they do. Thank you for a lovely boat ride. I think where you live has some amazing views, things that would be fun to explore. But the heat and humidity would be my undoing, so I shall enjoy vicariously. You’re welcome, Carol. And thank you. I’m glad you enjoyed it. 🙂 The heat and humidity are nearly my undoing every year and I’m looking forward to my husband’s retirement so that we can move Elsewhere. 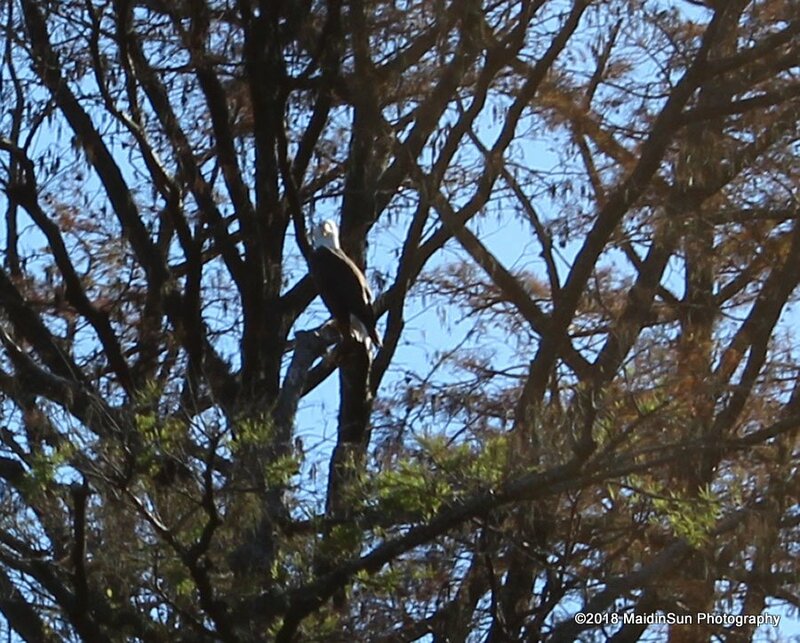 Terrific pictures – such a clear day and sharp contrast with water and trees/knees. We have some cypress swamps you can water on bridges in the botanical gardens north of town. And another larger swampy area river fed that many boat on…lots of gators which makes that idea a little iffy for me int a small boat. Thank you, PhilosopherMouse. 🙂 Yes, I think they were right about that, too. When I go to Assateague Island National Seashore in the summer months, I wonder how the environment manages to support all the visitors. The winter months probably help it recover. I don’t think I’d want to explore swamps with gators in our boat (which is small).